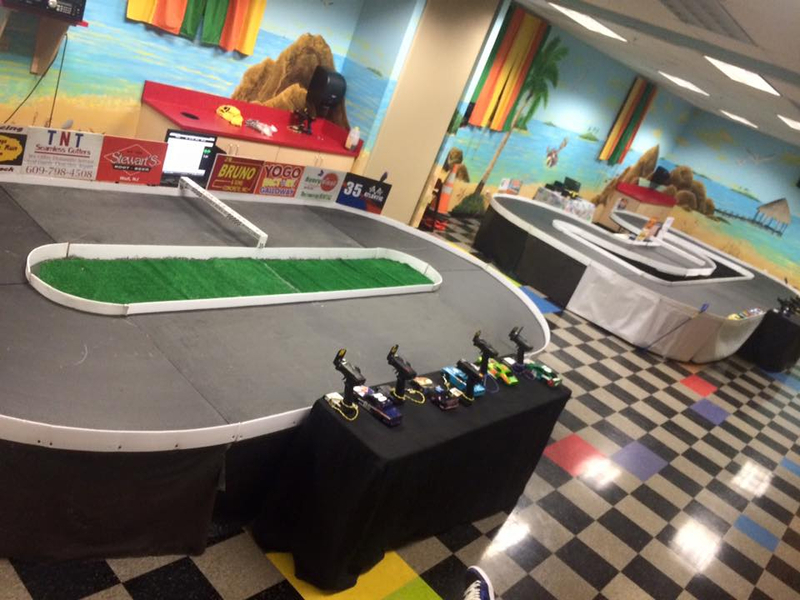 Racing set ups may come in various forms and sizes to fit your event needs. Play for fun, or host a tournament complete with trophies for three winners! Trophies may be customized with engraving for your event! -All packages include staff needed to set up and break down all equipment as well as assist during the event. -Booking packages are for 2, 4, or 6 hours. Additional time may be added. 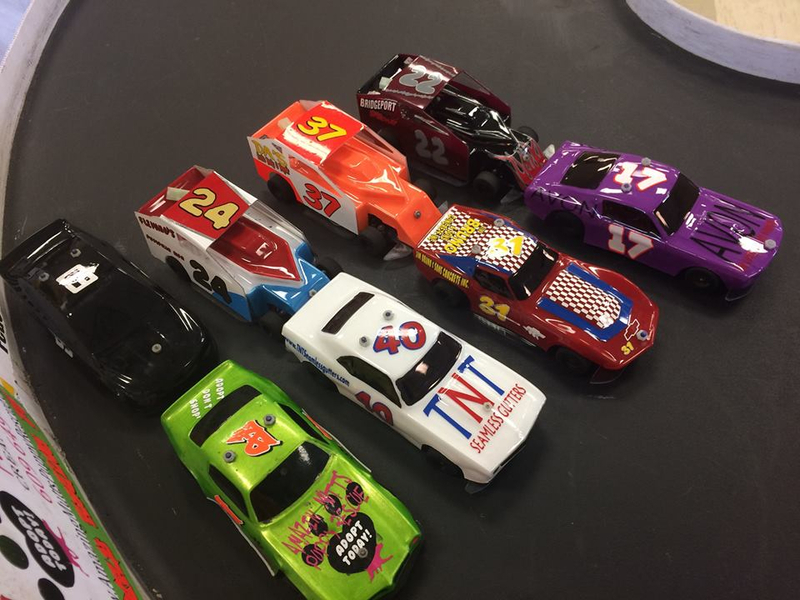 -Up to 8 people may race at a time, OR up to 14 in tournament format. -2 minute timed races or specified amount of laps per race. -Race is controlled by a computerized system which determines winners. -Must be set up indoor or under covered area. -A 115v circuit required to plug into, or add a generator. 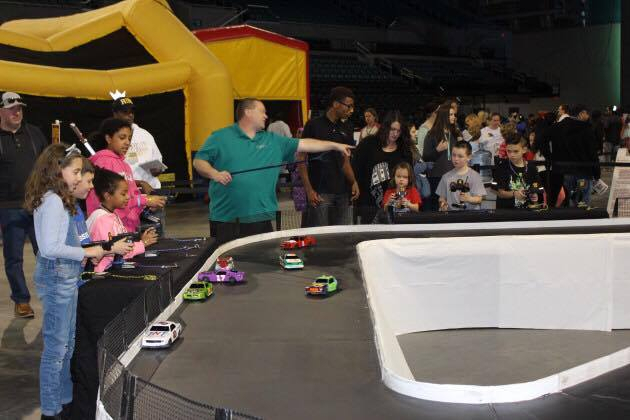 Two Lane Slot Car racing is similar to Rock N Roll Racing, but eliminates the need to steer the cars. Players push a trigger to make the car go and the track handles steering. This is perfect for younger children, or individuals with limited motor skills. The Course is 4' x 8', with a 12' x 12' set up area for operation. -115v circuit required to plug into. -Must be set up under cover or indoor if inclement weather. -Computerized system keeps time and clocks winners.